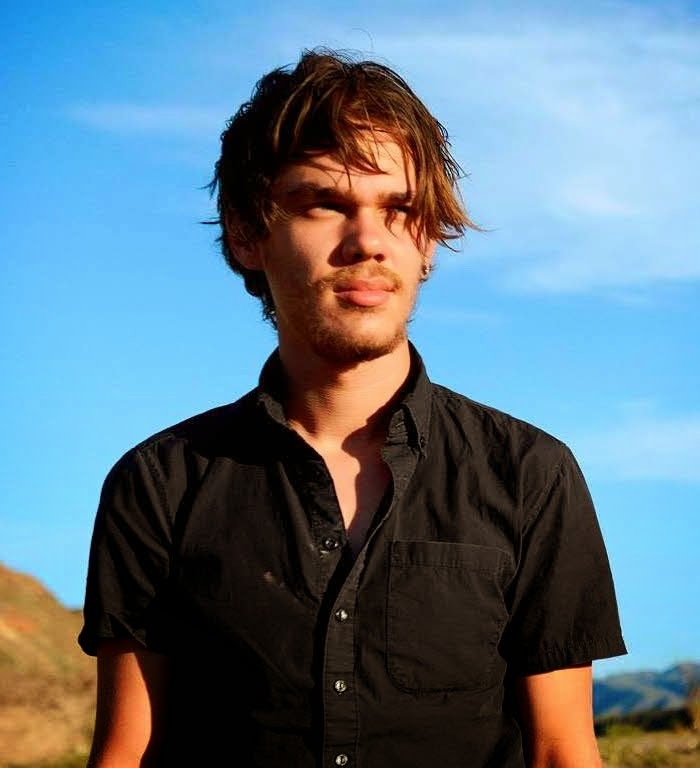 Mason (Ellar Coltrane) in the beginning of "Boyhood"
Filmed in increments over a 12-year time span, “Boyhood” is the story of a small Texas family in a near-constant state of transition. The movie opens when the protagonist is in elementary school and ends when he goes to college. 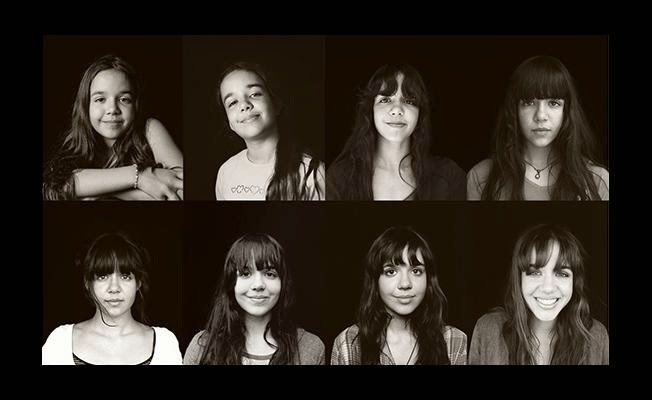 What makes “Boyhood” unique is that it keeps the same cast members all the way through; though the film is fictional, the children literally become young adults before our eyes. (Linklater’s daughter Lorelei), and his mother Olivia (Patricia Arquette) as they struggle and grow through a series of life challenges. The passage of time is conveyed through changes in the characters’ appearances and landmark events—the U.S. invasion of Iraq, the presidential elections of 2004 and 2008. Mason, the main character, is something of a dreamer; the movie opens with him lying on the grass gazing up at the sky. Samantha is harder and more practical, a straight A student who is inextricably tied to her brother and often patronizing toward him. Olivia is a loving mother trying to raise her children to be good, well-rounded people while juggling professional growth and difficult partners. A series of men pass through the children's lives. The mainstay—after a separation early on—is Mason Sr. (Ethan Hawke), the fun, aimless parent who whisks the kids around on playful weekend outings in his classic GTO. dimensional characters and the movie effectively conveys both the joie de vivre of childhood (bedtime stories, Saturday morning cartoons, swing sets, trampolines, hide and seek) and the confusion (Mason and Samantha watch from a hidden distance as their parents fight without fully understanding what’s happening). Numerous cultural references impart a feeling that the drivers and products of our imagination matter. The children dress up in character for a Harry Potter book signing. “Star Wars” gets multiple mentions. “To Kill a Mockingbird” and “Breakfast of Champions” are name-checked. The lost art of tap dancing comes up. Mason Sr. is a musician; his son takes up photography. Mason at the end of "Boyhood"
attachment theory, the dehumanizing effects of technology, and the meaning of life, which is passion, connection to something, anything. Follow your heart. 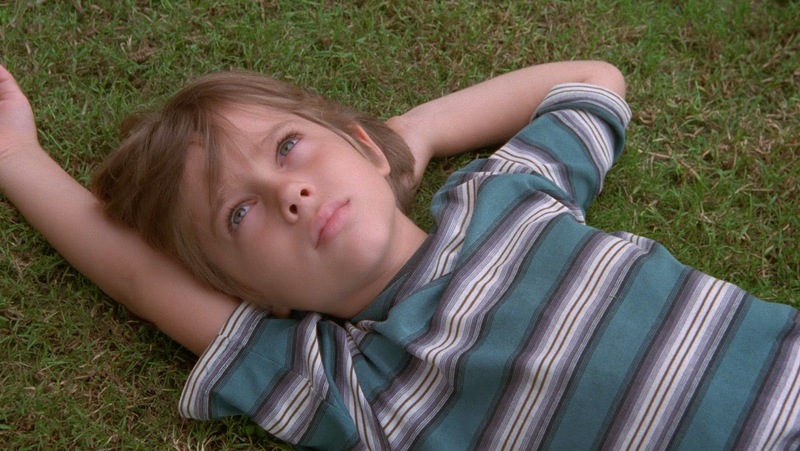 The power of “Boyhood” resides not in any individual element (e.g. a command performance, visual style, or dramatic event) but in the cumulative sweep of everyday life built up over 165 minutes. I didn’t walk out of the theater spellbound, but the movie has seeped into my bones in the three weeks since I saw it and left what I imagine will be a lasting imprint. Twenty-five years into his career, critics are gushing over the versatile Linklater, who has remained cheerfully on the periphery of the film industry all these years with small, artsy indies. If the long list of awards received so far is any indication, “Boyhood” might just defy gravity and win best picture at the Oscars. It would be nice to see the Academy honor one of America’s most original artists, but I don’t know that it would matter much to Linklater, for whom the biggest thrill seems to be the sheer joy of filmmaking.